Ground tackle refers to all the parts of an anchor system between the boat and the anchor. If you use only line, the ground tackle may be referred to as simply the anchor rode or line. Most experts recommend either a combination of chain and nylon or all chain. The terminal connections between the rode and the anchor are critical. Look for weak links in your own anchoring system. A proper connection will consist of a properly sized galvanized shackle rated for the intended use. Always mouse or seize the shackle pin with Monel seizing wire to prevent the pin from backing out. Plastic tie wraps are unacceptable. Is your anchor secured on the bow roller or deck? 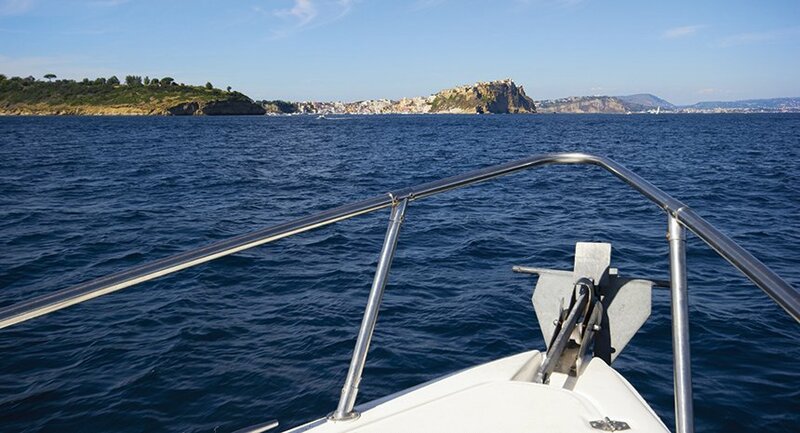 Make sure your anchor stays put while underway by securing to a mounted position. I lash mine with a small line so it can be easily freed and deployed quickly. How about the bitter end that stows on the boat in the anchor locker? Again, I prefer lashing the bitter end or tying it to a strong point inside the anchor locker so I don’t lose my expensive gear during deployment. How much rode to put out depends on the type of bottom, depth and wind strength. The recommended scope is anywhere from 3-to-1 for all chain rode to 7-to-1 for combination systems. 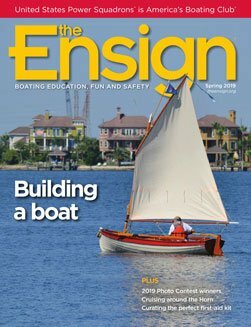 When determining scope, factor in the height of your boat’s bow anchor roller or chock above the water surface. For example, if the water depth is 10 feet and the distance from the water’s surface to your bow roller or chock is 5 feet, you would need 45 feet of rode to obtain a 3-to-1 scope. It’s a good idea to mark your anchor rode at regular intervals so you can keep track of how much you let out. A little preplanning will go a long way in safe and secure anchoring.